Suki Sandhu received the honour for services to diversity in business through his work at both boutique executive search firm Audeliss and INvolve, the inclusion organisation which helps businesses transform their cultures and create more inclusive workplaces. He joined the ranks of other high profile business people and public figures who have made significant achievements in public life and committed themselves to serving and helping Britain. Audeliss was set up by Sandhu in 2011 because he didn’t believe enough was being done to combat the lack of diversity across the boards and leadership teams of some of the biggest companies operating in the UK and internationally. He has worked tirelessly to pursue this mission ever since. This includes the creation of the annual OUTstanding, EMpower and HERoes role model lists which showcase high profile LGBT+, ethnic minority and female executives who are making a difference in business. His aim is to celebrate role models, drive positive change and help member firms to nurture and develop their diverse talent pipeline, all the while building a case for diversity in business. 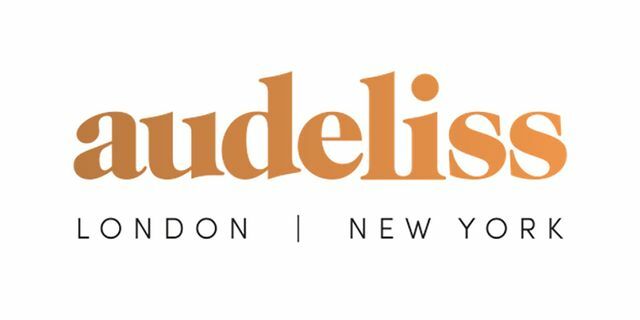 Since 2011, Audeliss has grown to become one of the leading executive search firms specialising in championing diversity. A huge 65% of their appointments are diverse candidates including women and those from ethnic minority and LGBTQ+ backgrounds, and the company has previously worked with brands including Sainsbury’s, Aviva, Virgin Money and the Bank of England. The launch of a brand new office in New York for both Audeliss and INvolve in June 2018 cemented their growth and Sandhu’s determination to challenge the culture and dialogue on diversity across international borders. From organising high profile events at the House of Lords in partnership with the Commonwealth Office, to speaking at a United Nations Summit on gender equality and featuring everywhere from the BBC’s Victoria Derbyshire Show to City A.M and The Gay Times, Sandhu has shown a passion for shining the spotlight on diversity and supporting amazing organisations like OutRight Action International, The Albert Kennedy Trust and Stonewall. He has also set up his own fund ‘The Suki Sandhu LGBTQI Asia Fund’, managed by GiveOut, to help fund the struggle for LBGTQI rights across Asia. He is now recognised as one of the top 50 most influential figures within the LGBT+ community by The Guardian, alongside the likes of Graham Norton and Stephen Fry, and was also named as the Most Inspiring Recruitment Leader by the UK recruitment industry’s premier awards. We are delighted to announce that our Founder & CEO, @MrSukiSandhu will be awarded an OBE and has been named in the New Year 2019 Honours List, for services to Diversity in Business. Congratulations Suki!